An offshore company refers to a business which is incorporated outside the country where the investors reside. Labuan (officially referred to as the Federal Territory of Labuan) is a region of Malaysia, where foreign investors are welcomed to register their businesses set up as offshore companies, as the territory represents one of the most important offshore locations available in Malaysia. Businessmen interested in company formation in Malaysia can receive assistance on this matter from our team of company incorporation representatives in Malaysia. Since the region developed as a main center for the domiciliation of offshore businesses, Labuan provides an attractive taxation system, alongside with a simpler incorporation procedure. One of the key aspects of the company registration in Labuan, Malaysia, refers to the fact that the local legislation allows full foreign ownership. Moreover, the company can be formed by only one person, who can act as a shareholder and as a director. 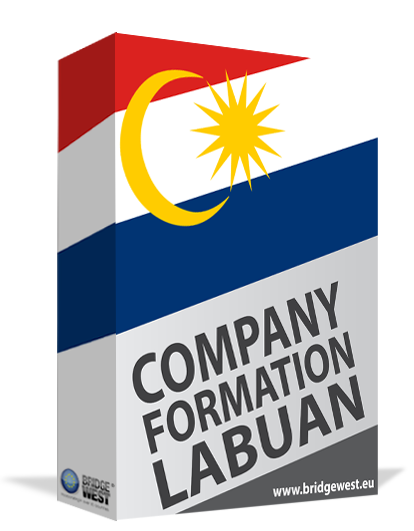 Businessmen who need advice on company formation in Labuan can receive assistance from our team of company incorporation agents in Malaysia. Can I open a branch or a subsidiary in Labuan? Yes, companies from abroad can decide on establishing branches or subsidiaries in Labuan in respect to the rules of the Companies Commission in Malaysia. In both cases, the documents of such entities need to contain information about the parent company and about the board of managers controlling the branch or the subsidiary in Labuan, Malaysia. Can I set up a trust in Labuan? • the 3% tax rate is imposed for trusts with trading activities in Labuan. Feel free to talk to our team of advisors for guidance in opening a trust in Labuan or for any other kind of business, including offshore companies in Malaysia. Choose the company name: it is advisable to propose at least three company names that will be checked for availability. Determine the shareholder ownership: for those companies with more than one shareholder, the ownership proportion should be established during this early stage. Register the company: the application for registration generally includes the Articles of Association for the company, the filled in forms as well as statutory declarations. Apply for a Labuan business visa: this is a necessary step and investors can decide if they wish to include ant dependents on their visa application. Open the bank account: a Labuan company is required to have a bank account in its name. Ready-made companies are at the disposal of entrepreneurs looking for a fast implementation of the businesses in Labuan without having to wait for all the incorporation procedures involved. Therefore, a shelf company can be a suitable option for foreigners who can benefit from a series of advantages like no liabilities as there are no activities in the firm. The identification documents plus the incorporation papers are mandatory for transferring the company ownership. Can I receive virtual office services in Labuan? Yes, if you do not want to set up a traditional office connected to your activities, it is best to direct your attention to virtual office packages in Labuan. Such services come with a prestigious business address in Labuan, a local phone number, a fax number and also a virtual assistant who can handle the faxes, the emails and the phone calls in the company, in accordance to the clients’ needs and business requirements. We mention that virtual office packages are at a fraction of expenses compared to the ones for a traditional office in Labuan. If you are planning marketing strategies for your future operations, then a virtual office package in Labuan might be the appropriate solution. Also, complete communication between the business owner and potential clients or collaborators can be sustained by the virtual assistant. The taxation on the profits of the company (registered as a trading company) is at a rate of 3%, while the paid-up capital is set up at RM 25,000 if the investor applied for a business visa. Entrepreneurs who need assistance for the incorporation of an offshore company in Labuan can contact our team of company formation consultants in Labuan.